I came home today to find my August Bellabox waiting for me. YAY! Much like July's box, this month's box was full of fantastic treats for the face, body and hair. As far as the number of products per box goes, Bellabox seems to be leading the competition! As you can see from the photo above, this month's box was packaged in a box once more. The contents of last month's box came in a small blue make up bag last month and, although I like the bags from Lust Have It!, this one was far too small to be practical. "Did you know that some women consume up to 2kg of lipstick in a lifetime? If love you lip products but care about what you put on your pout, you'll love being one of the first to try this hot-from-the-lab product (it's not even in stores yet, hence no labels!) made from a 100% natural, edible and food active recipe. Your pout will be onto a winner with the Tangerine & Vanilla flavour." Although I like the idea of having a product that's not available in stores yet, I'm not too sure if I like this product. Naturally I put it on straight away and it didn't feel like it did much for my lips at all. In fact, I used my Maybelline Baby Lips straight after. 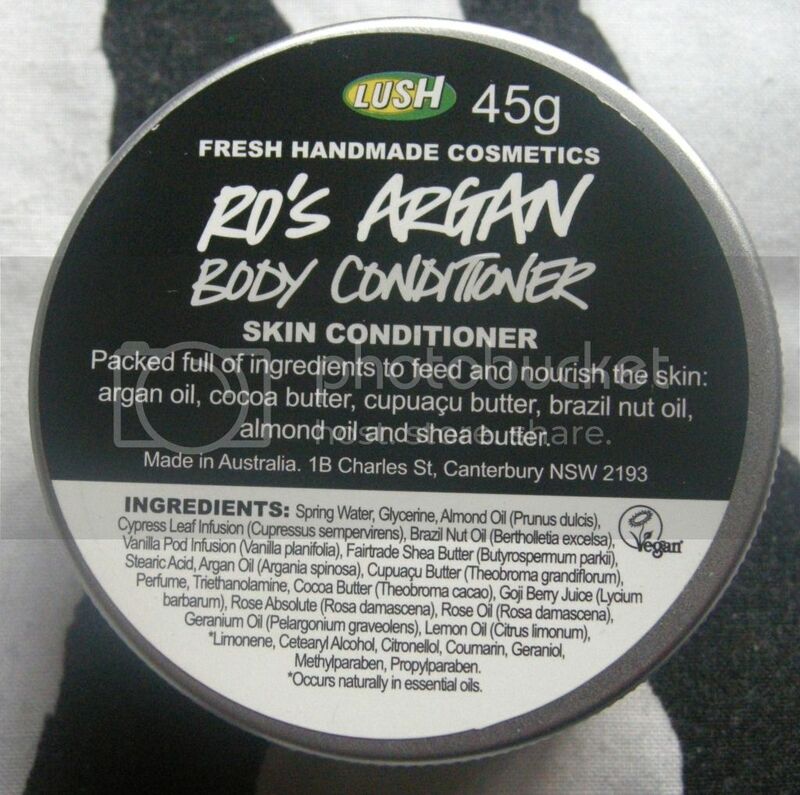 "2012 Winner of the Australian Business Awards for Best New Product, use this ingenious product just like a hair conditioner.. except it's for your body! Apply all over right after showering to feel thoroughly deodorised, moisturised and smelling like sweet rose and lemons." Just today I was thinking that I needed to start using a moisturiser on my arms and legs so this couldn't have arrived at a better time! I've heard great things about this product and absolutely love the way it smells, so I can't wait to use it! "Unlike ordinary lotions, AVEENO's contains natural colloidal oatmeal to moisturise and protect skin, providing 24-hour relief from nasty dryness, scaling and chapping. Non-greasy, it absorbs quickly, is non-comedogenic (so it won't clog pores) and also contains no added fragrance." The label on this product says it's great for dry skin and, given that my skin is normal to oily, I might end up using this product in a giveaway. "Phytocare are back at bb with their Vitamin C Powder, individually packaged in convenient daily sachets containing a mix of essential nutrients. 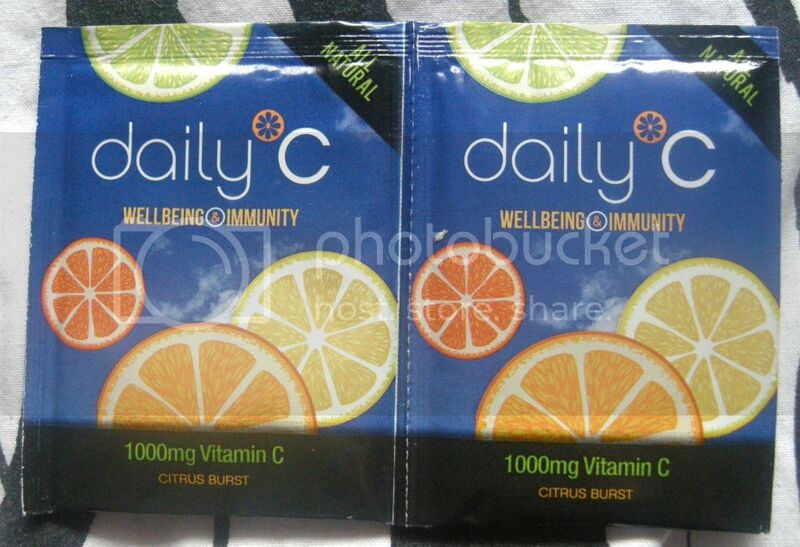 Feel good on the inside and out with these Citrus Burst supplements, free of sugar and with no artificial colours, flavours or preservatives." Well these sound nifty! I like the sound of products like these and will definitely give them a try. "Pure, potent and cosmeceutical, emerginC products are formulated and tested by a team of experienced doctors and chemists. 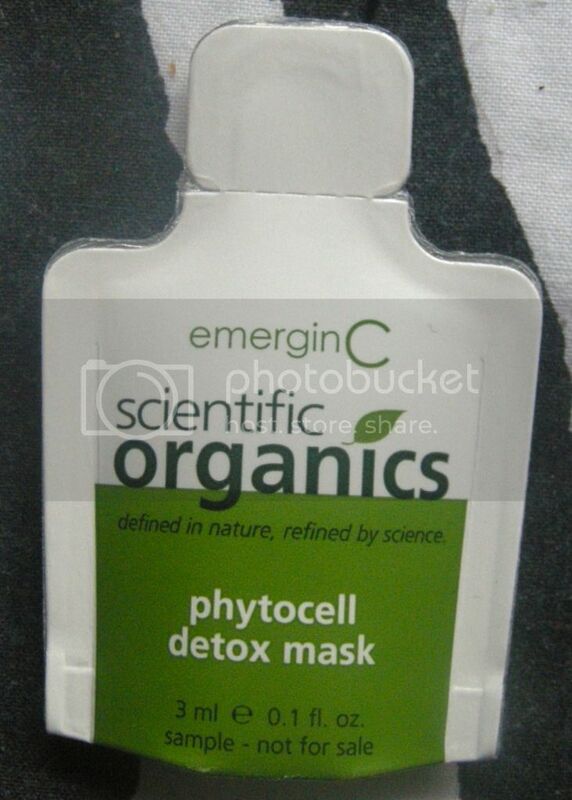 To achieve glow, the green-clay based mask will remove impurities in 10-15 mins!" Although I'm always apprehensive about trying new skincare products (I'm happy with my current Skincare Routine and always nervous about switching products), I really like the sound of this so will be brave and give it a try. "If you are yet to try serums, your skin is missing out! Perfect for itchy skin conditions and for use after skin irritation treatments the Nirvaata Calming Serum soothes with anti-inflammatory ingredients. For oily skin try the Amala Clearing Serum, designed to greatly treat sebum build up by addressing four major factors of acne formation." 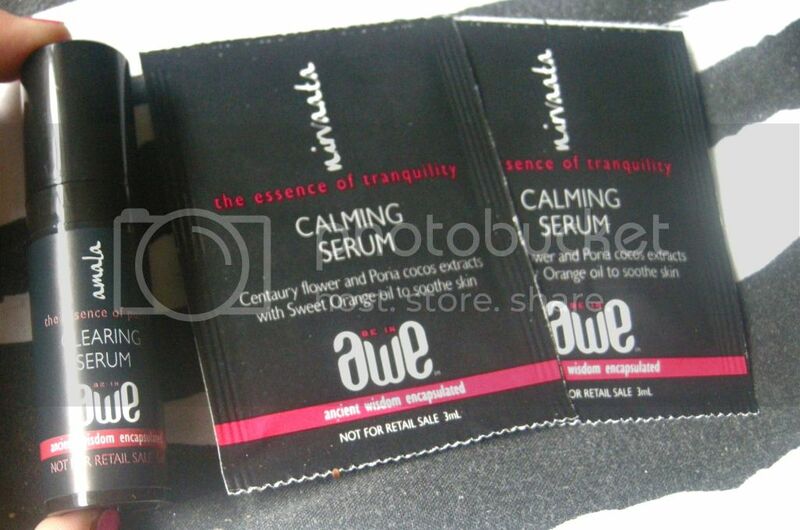 I really like the sound of these products, especially the Amala Clearing Serum. Although I own one product from Be in Awe already, I haven't as yet had a chance to use it. I will definitely be giving the Clearing Serum a try! 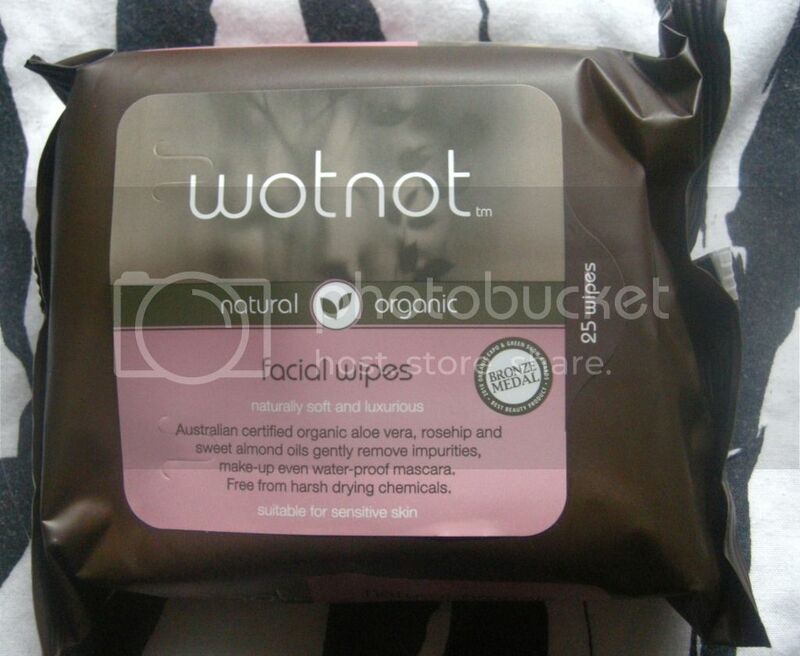 "What is not to love about Wotnot Facial Wipes? Made with 100% natural fibres and enriched with certified organic aloe vera, sweet almond oil and rosehip oil to remove makeup and refresh skin. Also kind to the earth, these wipes are 100% biodegradable." I love the concept of make up wipes but am yet to find some that I love. I have used one of these already and I'm a big fan! There is a stockist near me so I'm definitely going to have to check the range out! "A leave-in serum that utilises the unique properties of wheatgrass, silicone, glycerine and essential oils to preserve and protect colour treated hair. It also serves as a superior styling aid by minimising frizz, maintaining smoothness and offering extra protection for heat styling"
This product sounds fantastic. I'm a big fan of any product that's going to protect my colour treated hair, especially if it's also going to minimise frizz! Also, that this will have any influence on the quality of the product, but I love the packaging! So, everyone, that was my Bellabox for August. As you may have been able to tell from the contents, this month's box was all about 'going green' and using natural products. There are a couple of products that really appeal to me in this box. Did you get Bellabox this month? What did you think of the box? Are you subscribed to any beauty box subscriptions? Doh! Seeing yours makes me jealous. 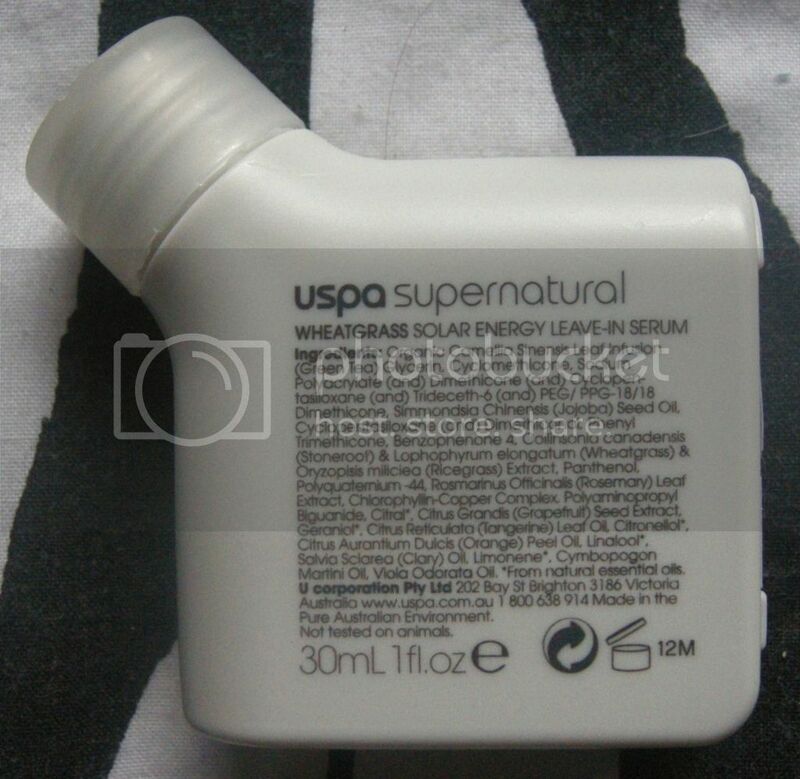 I didn't receive the Wotnot wipes or Be in Awe products, and got some different emerginC and Uspa products. I also got the Bourjois smoky eye pencil & Aurora Spa haircare. I like yours better!